All my paintings surprise me on some level; this one came slowly and with a lot of inner agitation until she was completed. 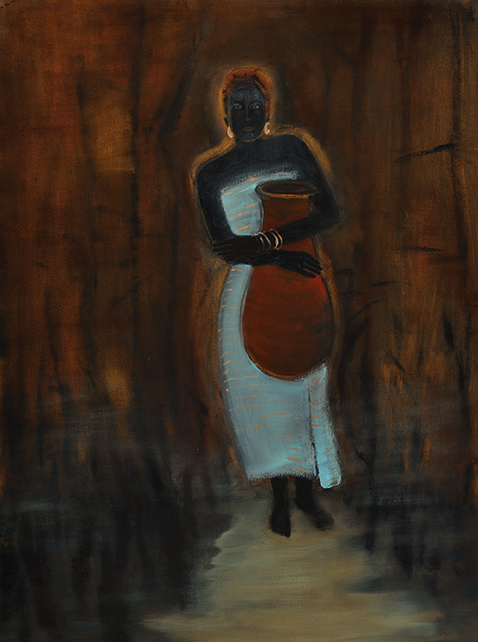 The Water Bearer is the third painting in a group of paintings that have depicted women and their unique inner life force. For me, the painting seems to be about the origin of power and Mystery and its gift to all of us.